The Triple-A Model of Therapeutic Care is an evidence-based approach to the care of children who have experienced complex developmental trauma. The Model was developed by Secure Start Principal Clinical Psychologist, Colby Pearce, and represents an integration of knowledge and experience gathered over more than twenty years as a researcher and practitioner in child and adolescent mental health and child protection. Colby is known internationally for being able to translate complex theory and knowledge into accessible and practical guidelines of care. In evidence of this, why not read a couple of articles written by Colby that appear on this site. 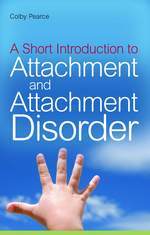 First described in 2009 in Colby’s bestselling title A Short Introduction to Attachment and Attachment Disorder (London: Jessica Kingsley Publishers), the Triple-A Model of Therapeutic Care was published after expert peer review in 2010 in the British Psychological Society’s periodical Educational and Child Psychology, as part of a Special Issue on Attachment. 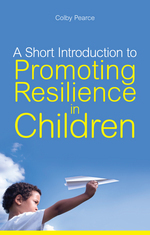 In 2011, the Triple-A Model of Therapeutic Care was successfully applied to the topic of parenting to promote resilience in children in Colby’s follow-up book, A Short Introduction to Promoting Resilience in Children (London: Jessica Kingsley Publishers); thus substantiating Colby’s view that the Triple A Model of Therapeutic Care is more than simply an approach to the care of children who have experienced the devastating effects of abuse, neglect, family violence and loss. It is a valid, evidence-based approach to the therapeutic care of all children. The Triple-A Model of Therapeutic Care offers a comprehensive approach to the therapeutic care of children who have experienced early trauma, incorporating evidence-based strategies and the rationale for them. This entry was posted in AAA Caregiving, Adoption, Attachment, Fostering, Parenting, Trauma and tagged AAA caregiving, AAA parenting, adoption, attachment, Attachment Disorder, attachment therapy, child psychologist Adelaide, child trauma, fostering, kinship care, parenting, residential care. Bookmark the permalink.